If you had last Monday off of work for the 4th of July, this is going to be one of these weeks that’s a “long” week. By that I mean we are back to the typical five day work week and it’s always a little tougher for a week like this when you’ve had a short work week the week before. I think the other thing that amazes me too is that this summer is just rocketing by at what seems like light speed. In another month or so, we’ll start hearing people talking about the kids going back to school and then it’s going to be Labor Day weekend and the start of the fall season and high school football! Amazing! Jan and I have had quite a busy summer season with all of the road trips that we’ve been on for some of our different gigs these past few months. Road trips are always good, but it can make it hard to get things shot for clients here in Central Illinois. We have been trying to shoot some images for a client of the Pekin, Illinois area for a couple of months and working it in between road trips and we weren’t having a ton of luck. As always, the weather can play havoc with us wanting to shoot on only the best days weather wise and the weather not cooperating. Between the summer rain storms and the higher humidities, it can really try your patience! We finally were able to hit a stretch of time in the last few weeks where all the elements came together and we were able to get out and get some of the photos that we needed! 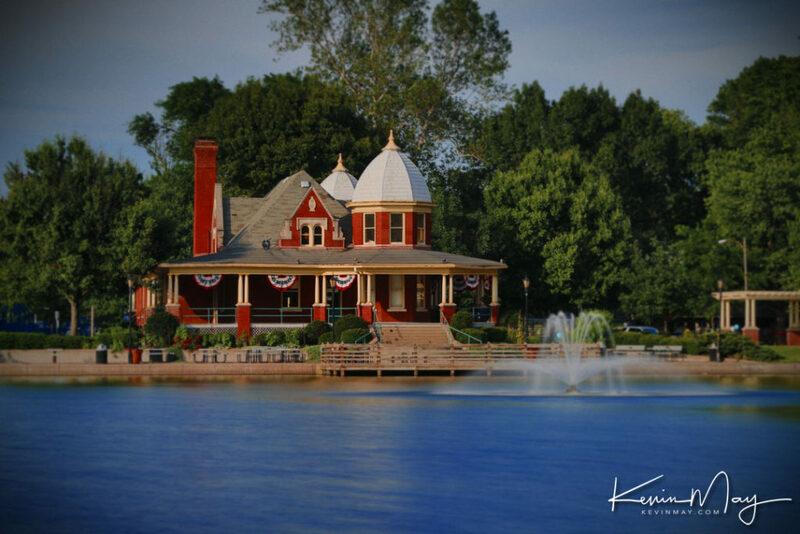 I’m sharing one of those iconic Pekin, Illinois images of the Lagoon at Mineral Springs Park. As always, we appreciate your taking time to check out what we are doing and shooting!!!! Have a great “long” week as well!! !